Complete home server software solution that can work in standalone, cloud or Hybrid modes. Add iiotsys™ IoT Switches and Sonoff (Basic) WiFi Switches from your IoT iiotsys™ Mobile App to openHAB with a single push of a button. 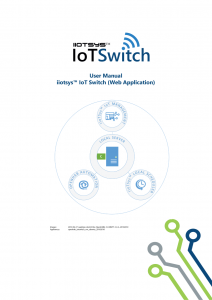 Custom iiotsys™ IoTSwitch Web Application features. Add or delete existing IoT switches in cloud mode. Add or remove cloud or local MQ servers. Restore a iiotsys™ IoT or Sonoff (Basic) WiFi switch. Configure a new IoT Switch for local or cloud MQ server. Configure an existing IoT Switch control keys. Configure IoT Switch AP SSID and local WiFi connectivity. Hide and unhide IoT Switch AP SSID. Reboot or reset existing IoT Switches. Configure local server network settings (static / dynamic). Manage UUID and secret keys for openHAB cloud registration and integration (Voice and secure publish). Scheduler to turn IoT Switches ON/OFF/PULSE and LOOP timer. ON - Month, Day of week, Hours, Minutes. OFF - Month, Day of week, Hours, Minutes. LOOP - Month, Day of week, Hours, Minutes. 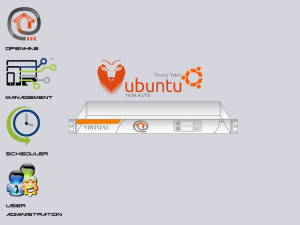 Operating system: Ubuntu 18.04 LTS x64 bit. Local Message broker: MQTT 3.4.2 broker server. Open Virtual File format compatible with most virtualization platforms. Tested on windows 10 64 bit with VMware Workstation Player 14.
username:Displayed on console during boot. password: Displayed on console during boot. Download the image and deploy on a VMware Player or ESXi host. Instructions on access url`s will be visible on the console or by typing cat /etc/issue from a SSH TTY session. Configure local network settings (static / dynamic). Onboard WiFi management (Access point or Client). Manage DHCP MAC reservations (SoftAP). Compatibility: Raspberry Pi 3 Model B and B + . 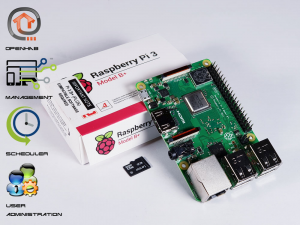 Image File format compatible Raspberry Pi 3 Model B Plus. username: Displayed on console during boot. Download the image and write to a MicroSD card.